Forward collision warning (FCW) and automatic emergency braking (AEB) are two technologies that reduce the risk of running into an object on the road such as a pedestrian or other vehicle. These types of collisions are caused by inattention (distractions) or misjudgment by you or another road user. Distractions are a huge cause of vehicle accidents, and it’s particularly easy to be distracted if you’re driving for work, you’re worried about something, you are hungry or thirsty, or you’re driving with kids. Even if we are looking at the road, when an event starts to unfold, our brains have to evaluate how risky it is by considering the outcomes or comparing it with similar events that have happened in the past. The more experience you have behind the wheel (generally) the quicker you can make these comparisons, but all events have some kind of reaction time. While our brains are considering what to do about the event, we are covering ground. The amount of ground depends on how far we’re going. At 100km/h we travel 27.78 metres per second, so with an average reaction time of 1.5 seconds, we travel almost 42 metres before reacting. Once we react we still have to bring the vehicle to a stop. In a modern car, this is shorter than the reaction time for speeds of around 70km/h or less. 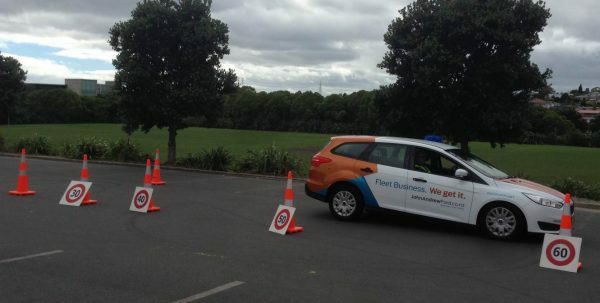 This image shows a demonstration of a Ford Focus stopping from various speeds. At 30km/h, the car stops in less than its own distance, but at 60km/h it takes around 13.5m. If it was possible to reduce or eliminate the reaction time, we would save many injuries and considerable deaths on the road. Forward collision warning (FCW) is an audible, visual and/or tactile warning that you must brake. They are commonly a buzzer or other noticeable sound plus a flashing light in the instrument cluster or head-up display. FCW brings the driver’s attention back to the road. However, criticisms are that it can frighten drivers causing them to overreact or react in the wrong way, and that flashing lights on the dashboard cause drivers to look at the dashboard rather than the road. This is why automatic emergency braking is a better solution. What is automatic emergency braking? Automatic emergency incorporates the warning features of forward collision warning plus the ability to brake to either avoid or reduce the risk of an accident. AEB systems work with brake assist which applies full braking power in an emergency, and electronic brakeforce distribution which ensures that every wheel is braked to its maximum power. How does AEB and FCW work? Vehicles use a mixture of sensors and/or cameras to scan the road ahead (the most successful system use both). Some systems can scan as far as 200m ahead. They look at the size and trajectory of objects approaching your vehicle and estimate whether you can stop, making the assumption you are on a dry road with good grip. Some systems take into account your speed and the type of driving you are doing, giving you more warning when you are travelling faster with seemingly less activity. AEB is especially useful in reducing the risk of nose-to-tail and pedestrian-based accidents. FCW warns you of a developing hazard, but doesn’t react to it meaning that by the time you react (or the AEB reacts) it’s much later than is ideal, and even too late to completely avoid an accident. AEB makes an assumption that the road surface and your tyres and suspension are good. If the road surface is slippery, you can’t stop as quickly, and if your tyres and suspension are worn then you won’t have as much stopping efficiency. Systems based solely on cameras can struggle in fog, heavy rain and night-time conditions, or if the windscreen is dirty; radar-based systems are more reliable. Some systems only work at low speeds. They tend to have frequent false triggers in a busy city environment where the system can think a chicane is a vehicle moving towards you, or in certain intersections that vehicles moving in defined lanes near to your path will hit you. They can’t tell if you are approaching a corner too fast for the conditions. It’s not only cars that come with AEB, it’s also available on newer buses and trucks. When FCW and AEB-equipped vehicles are specified in company fleet vehicles it results in fewer accidents which leads to less vehicle and employee downtime, less administration, and lower insurance costs through reduced claims. 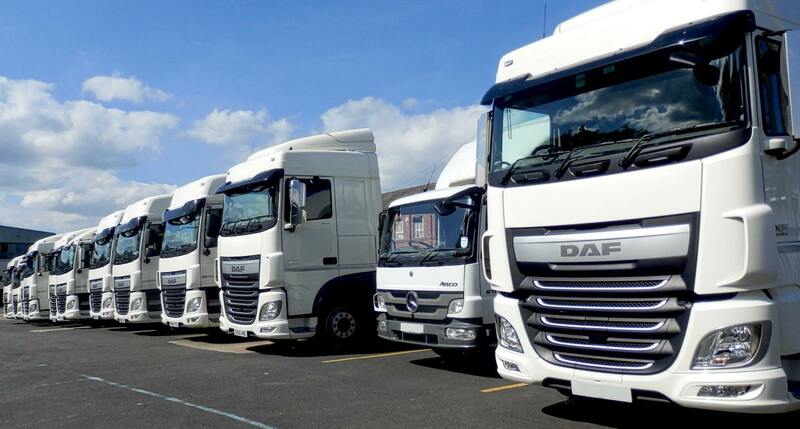 ‹ What is a vehicle fleet? What is a vehicle fleet?